What content will be in the course? What will the learner do? Most of the content in the course is text. And the look and feel of the course is also dependent on text. That’s because the text in your course serves two functions: it is what we read and it is a graphic that contributes a contextual look and feel. In today’s world there’s no shortage of free fonts. The challenge is learning more about them and how they’re best used in your elearning courses. And one of the best ways to learn about fonts is to play some games. 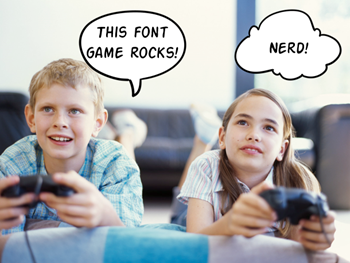 You’ll find a few different activities and games that help you learn more about fonts. But before you jump into the font games, let’s take a step back and think about games in general. Since this blog focuses on elearning and courses design, look at these font games as if they were elearning courses. What do you like best? Are there things you can apply to your own courses? How do they engage the learning process? Spacing of letters in your words helps make the text easier to read. If you move letters too close together it’s hard to read. And if the letters are too far apart, it’s hard to discern distinct words. The spacing between letters also contributes to the font’s style. 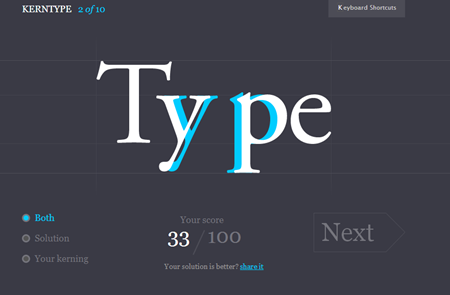 Kerntype helps you learn about kerning (spacing) by dragging letters and positioning them to look right. After you drag the letters, you compare your choice to the recommended solution. Fonts have different elements that make them unique. One of those elements are whether it has a serif or not. Can you spot the fonts with a serif? If so, take your best shot. In a previous post we discussed a few simple rules when selecting font pairs. 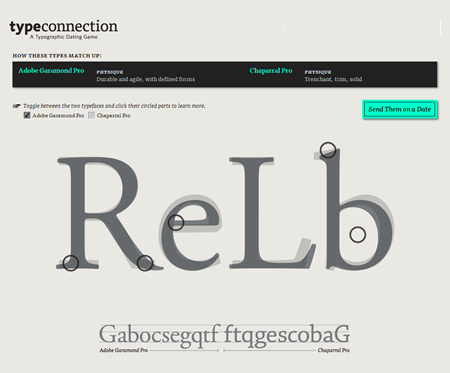 The TypeConnection game takes it a step farther by letting you match two fonts and seeing how they pair up. It’s a great way to learn about what works and what doesn’t when using different type. Which game did you enjoy most? 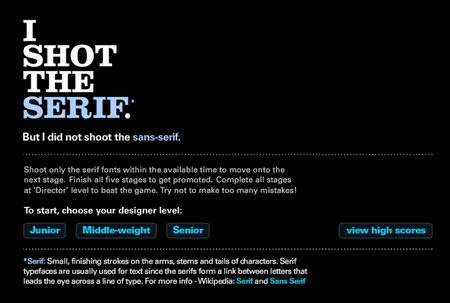 I Shot the Serif was far and away the most fun game. Very challenging but winnable. I always need help with font selection, so thanks for this post. Fun and educational! Thanks, Tom! Totally fun and timely! We have had very churning “kerning” discussions this week – what serendipity that you had a game to illustrate the points! I forwarded your blog immediately to highlight 1. the learner perspective of this concept, and 2. that I am NOT crazy! But I agree, I am a nerd that I loved all of the games and learning derived from them! But I shot the serif is my fave! Thank you!!!!! I’m a guy. I like shooting things. So,yeah, the gun one. Thanks for posting this. Fun.